At the end of every summer Williams-Sonoma puts their ice cream makers on sale. I am always tempted to purchase one, but ultimately I know it won't get enough use to qualify the counter space. I end up spending my summers drooling over ice cream recipes, wishing I had made that purchase last year. 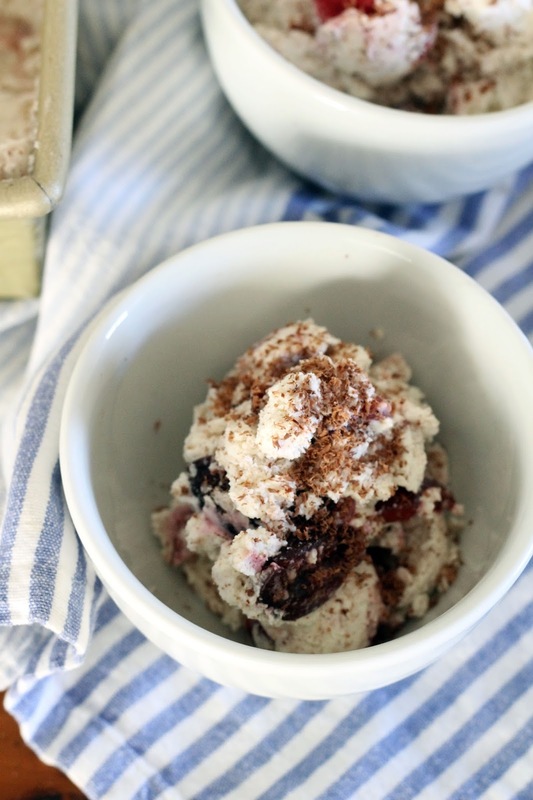 So, to kick off the first day of June I bring you this semifreddo recipe. 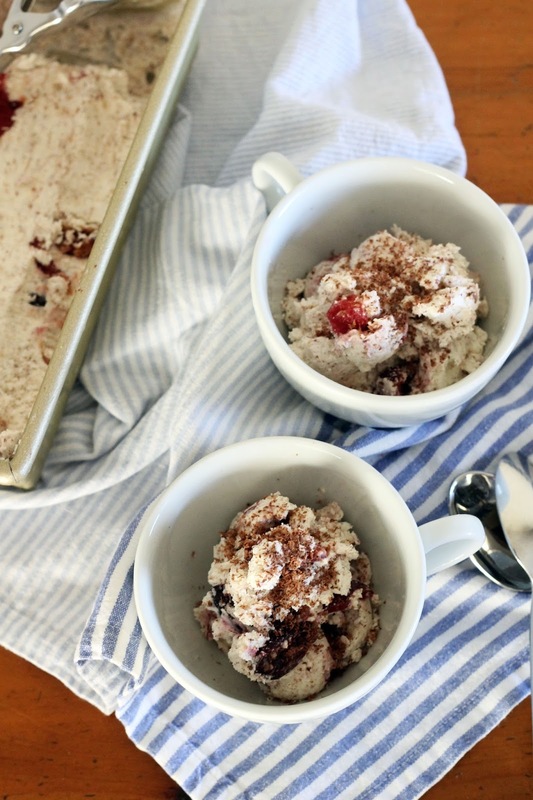 Semifreddo is an italian dessert similar to ice cream, but no churning required. The cream is whipped and then frozen which gives it a light and airy texture. 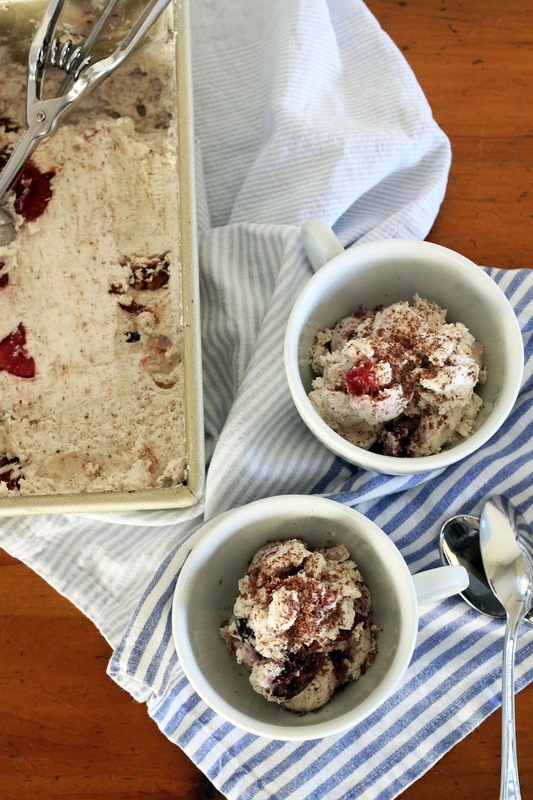 The cherries brighten up this semifreddo, but strawberries or raspberries would be great as well. Are there any frozen desserts you turn to during the summer? Using an electric mixture with whisk attachment, whisk together mascarpone cheese and whipping cream in a large mixing bowl until soft peaks form. Slowly whisk in powdered sugar, vanilla extract, and a pinch of sugar until hard peaks form. 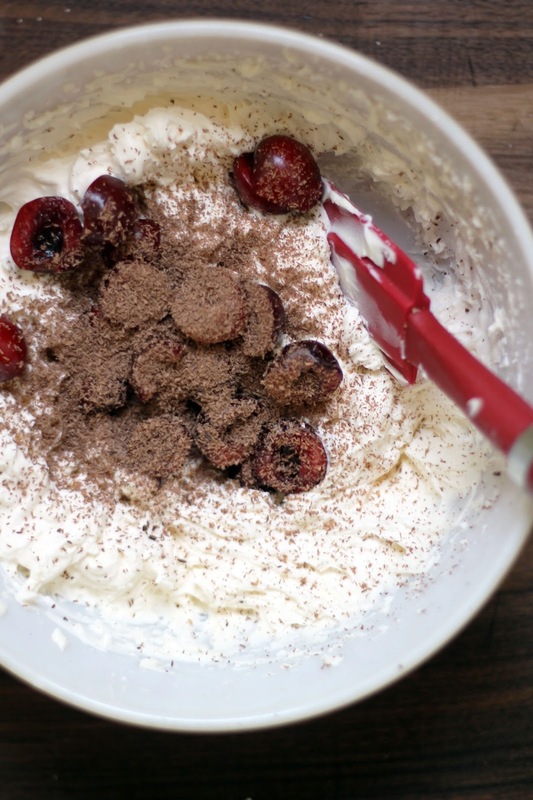 Mix in cherries and chocolate and stir until combined. 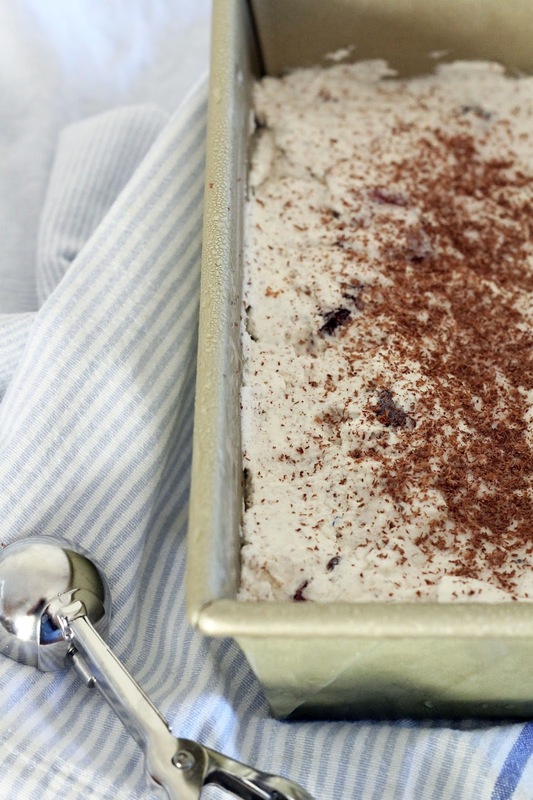 Pour semifreddo mixture into a loaf pan. Press plastic wrap over the top of the semifreddo. Freeze for at least 8 hours or overnight. Serve chilled with chocolate shavings. Holy moly, yes please!! Excited to try this! You should, it is super easy and delicious!